New vaping in public places advice recognises there is no one-size-fits-all approach. Today (6 July 2016) Public Health England (PHE) is publishing new framework advice for businesses and employers to help them create their own policies on the use of e-cigarettes. There are now 2.8 million e-cigarette users in the UK and there is a need for appropriate policies in public places and workplaces. PHE’s new framework helps organisations create e-cigarette policies that will support smokers to quit and stay smokefree, while managing any risks specific to their setting. The framework acknowledges that workplace environments vary greatly and there is no one-size-fits-all approach; a factory or warehouse is a very different setting to a nursery school, with different considerations to make. It sets out 5 important principles for an approach based on our current knowledge of e-cigarettes. The evidence is clear that vaping is much less harmful than smoking and that e-cigarettes are helping many smokers to quit. This new framework will encourage organisations to consider both the benefits and the risks when developing their own policies on e-cigarettes. Different approaches will be appropriate in different places, but policies should take account of the evidence and clearly distinguish vaping from smoking. In contrast to the known harm from exposure to secondhand smoke, there is currently no evidence of harm from secondhand e-cigarette vapour and the risks are likely to be extremely low. There is also no evidence so far that e-cigarettes are acting as a route into smoking for young people. Make clear the distinction between vaping and smoking. Ensure policies are informed by the evidence on health risks to bystanders. Identify and manage risks of uptake by children and young people. Support smokers to stop smoking and stay smokefree. Support compliance with smokefree law and policies. PHE’s framework advice has been published to coincide with a national stakeholder symposium on e-cigarettes and their role in tobacco harm reduction, held jointly with Cancer Research UK. E-cigarettes are still a relatively new product, so it’s understandable that many people and businesses may not know how to deal with them. The evidence so far shows e-cigarettes are much safer than tobacco and they have the potential to help people give up a deadly addiction. It’s important the benefit of using them are maximised while reducing any negative impact, and organisations need independent advice from Public Health England to set out their own policies. Smoking is the country’s number one killer, causing nearly 78,000 deaths each year in England. While the long-term effect of e-cigarettes is unknown, and they are not completely risk-free, the current evidence indicates that they are significantly less harmful than smoking tobacco and are helping smokers to quit. Organisations need to consider the comfort of all colleagues, smokers, non-smokers and vapers, and show consideration when creating their vaping policies. 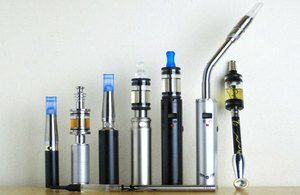 PHE is committed to carefully monitoring the evidence on e-cigarettes as it emerges and to communicating it so that policymakers and the public have the information they need to make informed decisions. Public Health England exists to protect and improve the nation’s health and wellbeing, and reduce health inequalities. It does this through world-class science, knowledge and intelligence, advocacy, partnerships and the delivery of specialist public health services. PHE is an operationally autonomous executive agency of the Department of Health. Follow us on Twitter: @PHE_uk and Facebook:www.facebook.com/PublicHealthEngland. PHE’s framework advice, ‘Use of e-cigarettes in public places and workplaces. Advice to inform evidence-based policy making’, alongside a report of the results of the online stakeholder ‘conversation’ on use of e-cigarettes in public places and workplaces conducted in late 2014 to early 2015 can be found in the electronic cigarettes collection. An updated version of the public health consensus statement on e-cigarettes has been added to the electronic cigarettes collection. This was originally published in September 2015.